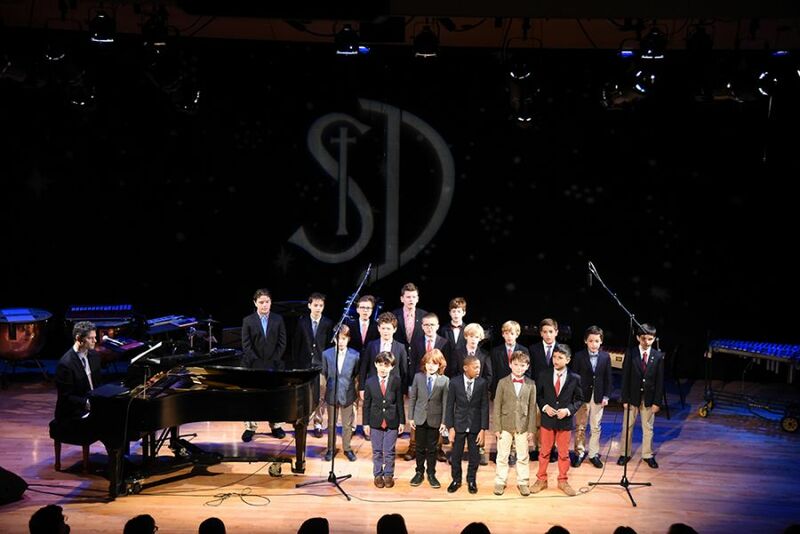 On Monday evening, Broadway performers joined Saint David's boys in a magical musical celebration marking the inaugural production in our new Otto-Bernstein Performing Arts Theatre. Saint David's Music Director Jeffrey Moore welcomed all to the show, which was generously organized and produced by Tom and Rita Kitt. The concert featured the Saint David's Philharmonic Ensemble and Percussion Ensemble; powerful performances by Broadway Stars Mandy Gonzalez, Javier Muñoz, Julia Murney, and Tom Kitt; and Saint David's boys joining Mr. Kitt in performing All Good Men, the song he composed for Saint David's. In his Expression of Appreciation, Headmaster O'Halloran noted how important the arts are as a pillar of the school program, and how wonderful it is that the boys now have a state-of-the-art theatre in which to perform. Following the concert, all gathered for a reception in the Lapeyre Family Performing Arts Commons and new lobby. At Saint David's Halloween means Bookoween!